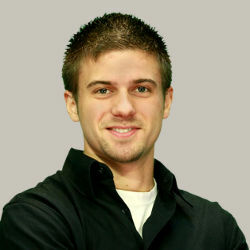 Seth is a 27 year old software developer based out of Minneapolis, Minnesota. He is passionate about the open web and the opportunities it brings to communication and businesses around the world. Using big data processing, combined with smart analytics, and responsive user interfaces, Seth creates real-time applications that solve problems for modern day business needs. Seth holds a Bachelor of Science in Computer Science degree from The University of Minnesota, Twin Cities, College of Science and Engineering. Experience in connecting users with content they need. Seth has created web APIs, for consumption by other systems and mobile devices. An API centric model is essential for a growing flexible business. Those APIs power user interfaces Seth has created. These complex web apps, using the latest front end technologies, make for fast and responsive user experiences. With a background in traditional relational databases and experience in the more loose No-SQL data stores, Seth has worked with a broad range of storage systems for a wide range data set requirements. Architecting large scale systems to process thousands of requests per minute is a passion of Seth's. Everyone has the right to share content securely and anonymously. Systems Seth helps create are secure using the latest proven web and cryptographic technologies to keep company and user data safe. Sharing data, to only the desired recipient is key. At AerisWeather, Seth has created a variety of API backed web applications. He has had the opportunity to lead projects through the whole life cycle from conception, through planning, design, as well as full backend and frontend execution. APIs have been key AerisWeather's success as a flexible small company and designing them has been very exciting. AerisWeather works with a variety of data sources and technologies to fulfill their clients needs, also allowing Seth to learn a diverse skill set. MongoDB as a large scale data store, thousands of writes per second. We utilize a variety of AWS resources, EC2, ElasticBeanstalk, SQS, SNS, etc. With the opportunity to try many aspects of IT, including network administration, server administration, software development and help desk, I found I enjoyed software development the best. We created many internal apps for faculty and staff and helped deploy a host of new services. An always up to date cache for high throughput applications. Crisp Cache adds "stale" to the lifecycle of a cache element. Stale entries are used from the cache while Crisp Cache fetches new cache entries in the background. Responsive applications need reliable consistent streams of data, and Crisp Cache fills the void over other caches that may block when an entry is expired or goes past it's TTL. Admiral-CLI is a Command Line Framework (CLI) framework for Node.js. There are other CLI frameworks available for Node.js already, however Admiral adds validation and some callbacks in key places to make apps easier to write. We wanted to create a framework with less configuration but stronger validation. Configuration should be easy to understand while CLI parameters are strictly validated and appropriate error messages are passed on to the user. A CLI is a user interface, let's treat it like one. Documentation is always difficult to create and keep up to date. Cite API aims to step in and ease the creation for RESTful APIs. It looks at JSON Schema, the same schema that is tested as correct API input/output and generates beautiful docs based on that. Much like Swagger, but with less configuration, as the configuration is already the tested schema. This project is in the very early stages of development but the need is high for better documentation tools. SleepyTable is an open source project sponsored by AerisWeather. It was designed to ingest web API's and allow for paging, filtering, and sorting server side. It is open source and is looking for more developers for the project. It was originally developed as a jQuery plugin and is a little dated now, but is still used in production. I would like to update it with a more modern framework like Bootstrap possibly React or Angular. Create software that is beneficial. Good developers and good software companies create products that have value to real people. Software helps people, keeps them safe, or helps them more efficiently create other products to help other people. I want to be a part of that. Be verbose, open, and truthful. Free speech and the world's knowledge at our fingertips are things I don't take lightly living in the US. Everyone deserves transparency from their government, to know full history, and have the ability to openly share thoughts with everyone or only the ones they care about. Innovation never comes from those that follow norms. People who go against the grain find opportunities for improvement and new solutions.